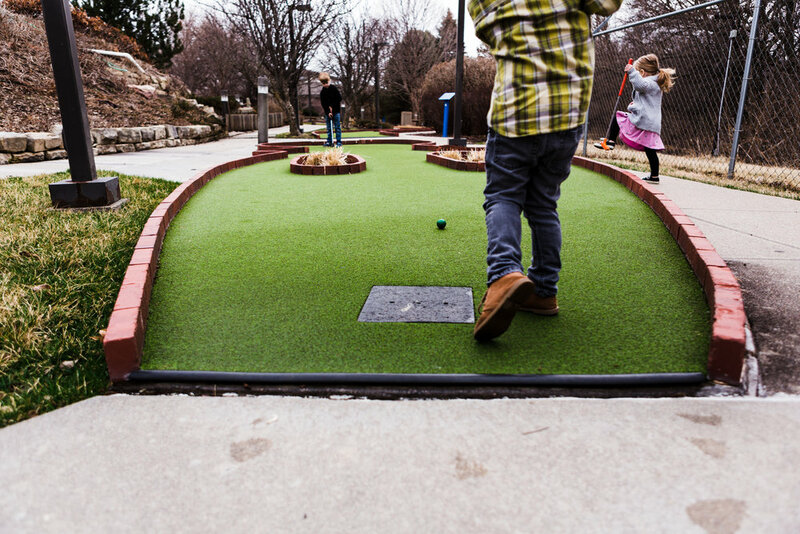 We’ve said it many times and we’ll continue to say it again and again: our desire for this golf course is to bring joy to the Lincoln community and to be about more than just miniature golf. You say, “That’s a bit farfetched for a miniature golf course.” To that we say, “That wouldn’t be the first time we’ve heard that,” and “Watch us.” We believe there is something special about bringing people together and providing a space for joy to flourish. Unfortunately, we are becoming a society that is more connected than we’ve ever been, and more lonely than we’ve ever been. We want to fight for families, fight for friendships, and fight for joy. We hope you get a chance to experience simple joy at our course, from the minute you walk in through the gates to the moment you leave. We’ve partnered with multiple organizations in the community who share this same desire to improve our city and state. Whether that’s awareness for your nonprofit, a fundraiser for your cause, or a staff appreciation outing for all the selfless, hard work they do day-in and day-out, we love supporting organizations that want to do good in the community and the world. Want to know how you can partner with AGC to support your organization? Reach out to us below and we’d love to talk about how we can support your cause!